What does it take to be the first? From the numerous interviews we’ve conducted with successful disrupters, there seems to be a formula of key attributes, personality traits, and, yes, failures that pave the way for female pioneers, or as we like to call them, Womaneers. 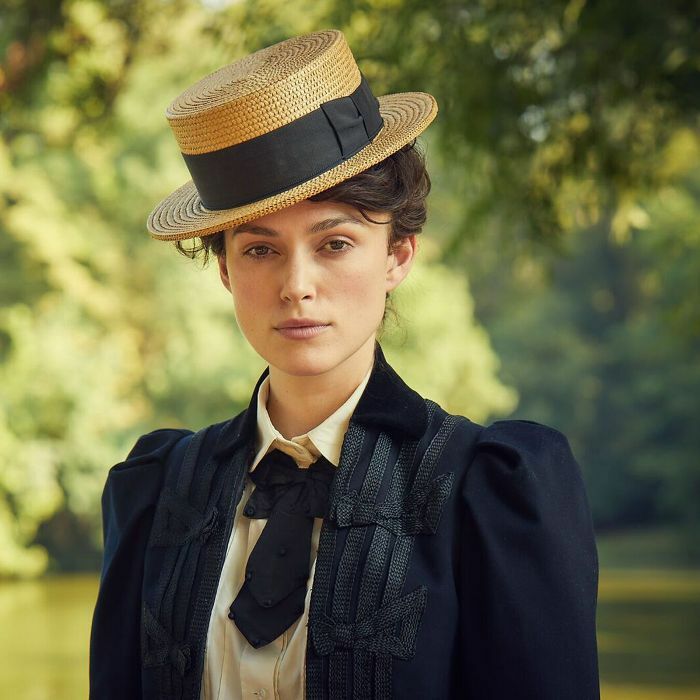 Typically the series focuses on modern women, but today, in honor of Bleecker Street and 30West’s new film Colette (starring Keira Knightley in the titular role), we’re diving into the life and legacy of the iconic author who was fighting gender norms nearly a century ago. We cover a lot of modern multihyphenates here on MyDomaine—women who balance multiple careers while also raising children, nourishing meaningful friendships, and practicing self-care. As just about any of us can attest, building a single career (not to mention maintaining work/life balance) can be a real slog even today, when we have more legal protections, more career opportunities, and aren’t (so) bound by antiquated gender norms as the women who came before us were. Which is to say that we can’t even imagine how much courage and determination it must have taken Sidonie-Gabrielle Colette (1873–1954) to develop a career as a writer in Paris around the turn of the century. To celebrate the release of the new biopic on the feminist icon, we decided to dig deep and learn more about her seminal works, keying in on important lessons that are still relevant for modern women working in creative fields. Keep reading to be transported back in time to France’s Belle Époque, and make sure to buy your ticket to see Colette, in theaters now. While her name would eventually be known by practically everyone in her native France, Colette’s first works were released under her first husband’s name. As the story goes, Willy (aka Henry Gauthier-Villars) convinced her to write a novel based on her schoolgirl years, which she eventually titled Claudine at School. Willy published it years later under his own name, and it became an immediate hit. Whether the couple truly “co-wrote” the Claudine series is questionable, seeing how the central character was based off Colette’s own adventures growing up in Burgundy. In any case, as these books began to gain acclaim, Colette bristled at effectively being reduced to a ghostwriter. Fighting for recognition and creative freedom also meant demanding a divorce from her controlling husband. While a legal battle raged on for decades over the ownership rights to those early works, Colette soldiered on, writing dozens of critically acclaimed books, plays, criticism, and advice columns. (She was even one of the first women to report from the front lines during World War I!) Her persistence in pursuing her writing career despite the early setbacks led her to be nominated for the Nobel Prize in Literature in 1948. Case in point: When she was unable to profit off the aforementioned Claudine books due to their being published under her ex-husband’s pen name, she forged a new career for herself on the stage, traveling all over France and performing at music halls to make ends meet. This period of her life would provide inspiration for one of her earliest critical successes, 1910’s La Vagabonde. Colette is said to have been heavily influenced by her mother, Sidonie (“Sido” for short), an unconventional figure in her own right who took special care to introduce her daughter to more progressive thinking. As a result of her mother’s influence, Colette grew up unafraid to express herself and follow her heart, two things that served her well throughout her life and career. Exhibit A: Colette was known to prefer dressing in men’s clothes on and off stage, which is in step with her choice to go by her last name, something that was common among men of her era. Her decision to divorce her first husband (and ultimately her second one too) would have also been quite unusual… In fact, she was denied a Catholic funeral due to her multiple marriages—only she got the last laugh, as she became the first woman to get a state funeral. Colette’s life was never short on drama and intrigue, so she had plenty of material to work with as she crafted her largely semi-autobiographical novels and novellas. After all, by the time of her death, she’d been married three times, engaged in multiple affairs (with women and men), and won countless accolades from literary circles that had previously been closed to women. Never afraid of being vulnerable or to reveal “too much,” her most notable books—among them Gigi (1944) and Chéri—are powerful precisely because they’re so real. Colette’s novels spoke to women of her time because they gave a voice to the things they felt unable to express, and accordingly, she’s an extremely relevant figure today, as women continue to navigate carving a place for themselves as artists and creators in the #TimesUp era. Now that you’re familiar with the iconic author, it’s time to snag your tickets to see Colette in theaters.